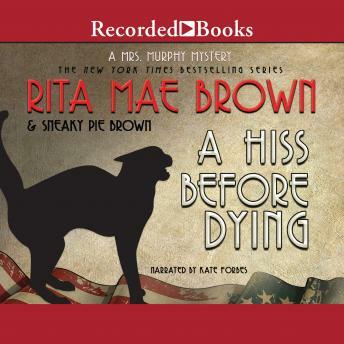 Rita Mae Brown and her feline co-author Sneaky Pie Brown are back chasing a mystery with their unique circle of Southern sleuths. And though the changing colors of fall are a beauty to behold, this year the scattered leaves hide a grim surprise. Autumn is in the air in the Blue Ridge Mountain community of Crozet, Virginia-and all the traditions of the changing seasons are under way. Mary Minor "Harry" Haristeen cleans her cupboards, her husband, Fair, prepares the horses for the shorter days ahead, and the clamorous barking of beagles signals the annual rabbit chase through the central Virginia hills. But the last thing the local beaglers and their hounds expect to flush out is a dead body. Disturbingly, it's the second corpse to turn up, after that of a missing truck driver too disfigured to identify. The deaths seem unrelated-until Harry picks up a trail of clues dating back to the state's post-Revolutionary past. The echoes of the Shot Heard Round the World pale in comparison to the dangerous shootout Harry narrowly escapes unscathed. Next time, it may be the killer who gets lucky. But not if Harry's furry friends Mrs. Murphy, Pewter, and Tucker can help it. Lending their sharp-nosed talents to the hunt, they'll help their mistress keep more lives from being lost-and right an injustice buried since the early days of America's independence.